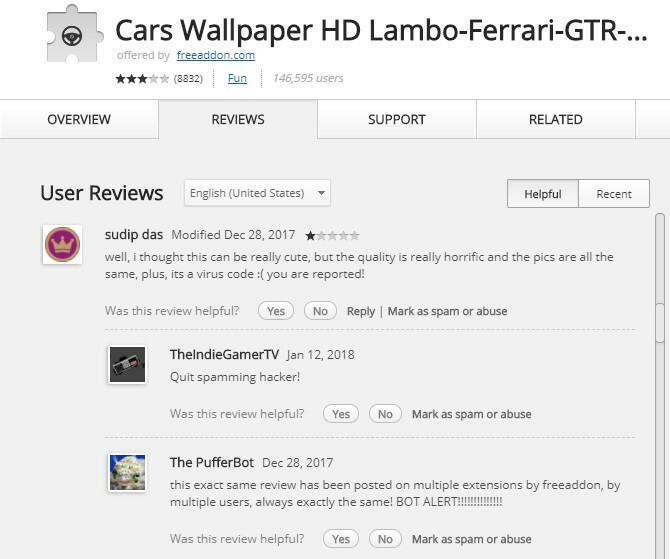 Not long ago from our warning about the fake accounts which has been spamming 1-Star reviews to all Freeaddon & SportifyTab extensions, we found out that many of these fake accounts have also spammed 5-Star Reviews in more than 1000 new extensions created by a group of developers since December 2017 to trick users. *DISCLAIMER: We DO NOT make this up. 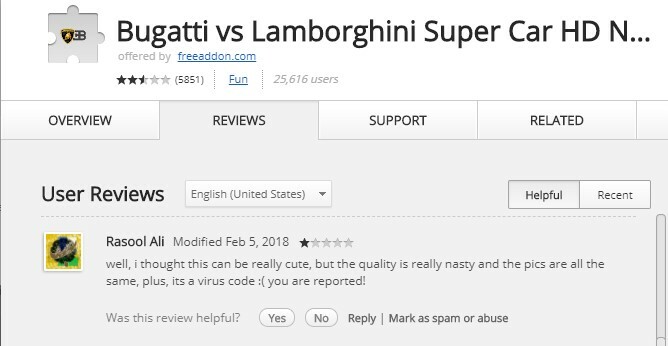 We don’t try to backbite the other developers because we only want to warn you that you should not trust extensions that have fake 5-star reviews. AND ALSO WE NEED YOUR HELP!!! These reviews are extremely abnormally as they are similar in words by words. 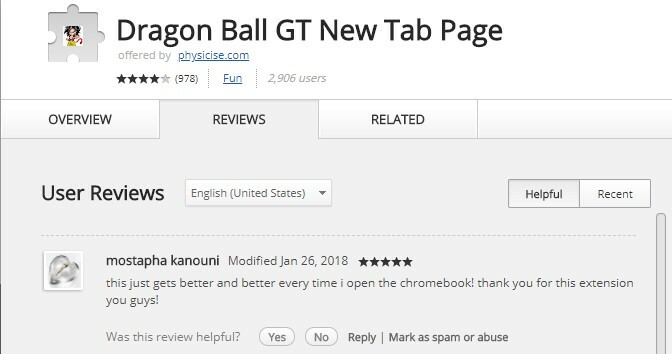 These type of reviews were proven to be fake in our previous post. This means that Dorinela Alexandra is a fake account. 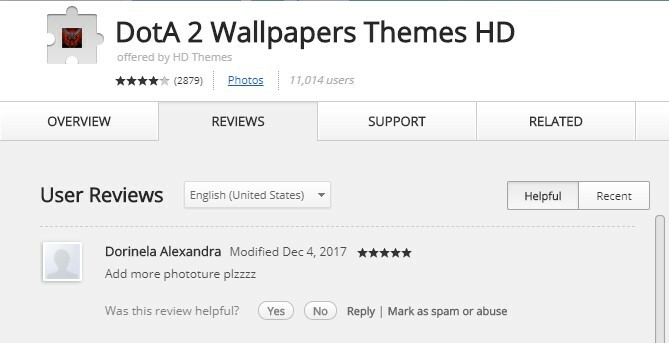 Same Dorinela Alexandra gave 5-star ratings to some other extensions. Again, the reviews were repeated abnormally. 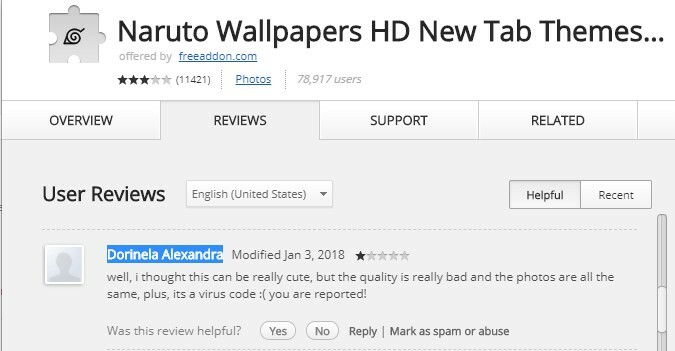 Since Dorinela Alexandra is a fake account, these 5-star reviews are not trustworthy. 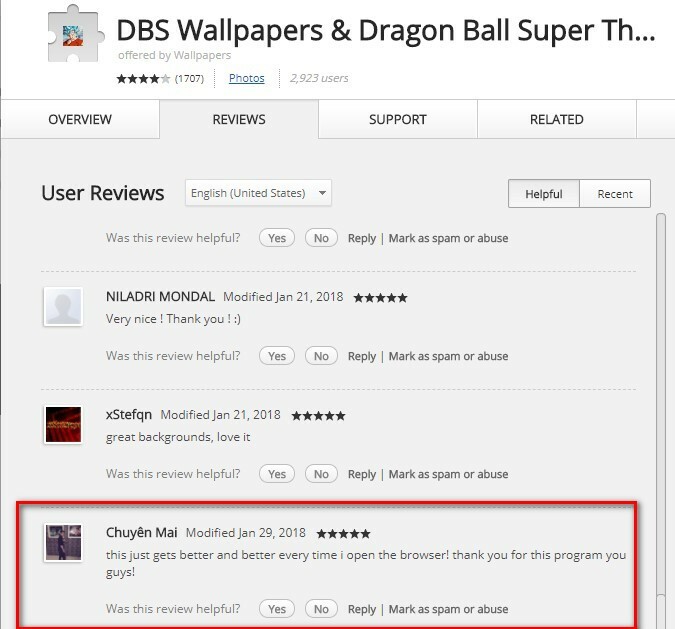 Another example of abnormal repeating reviews is this account – Chuyen Mai. 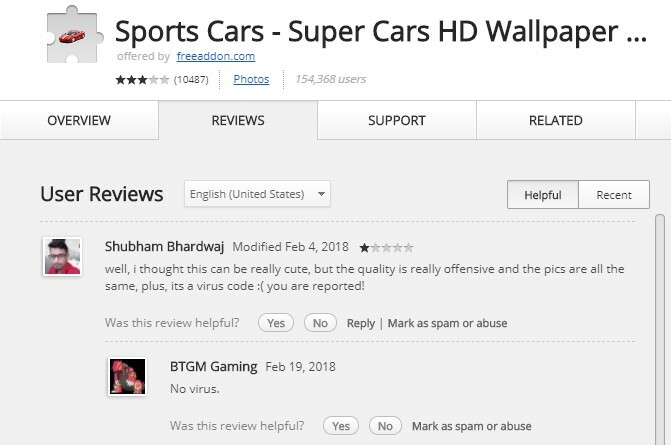 It was obviously a fake account giving fake review. 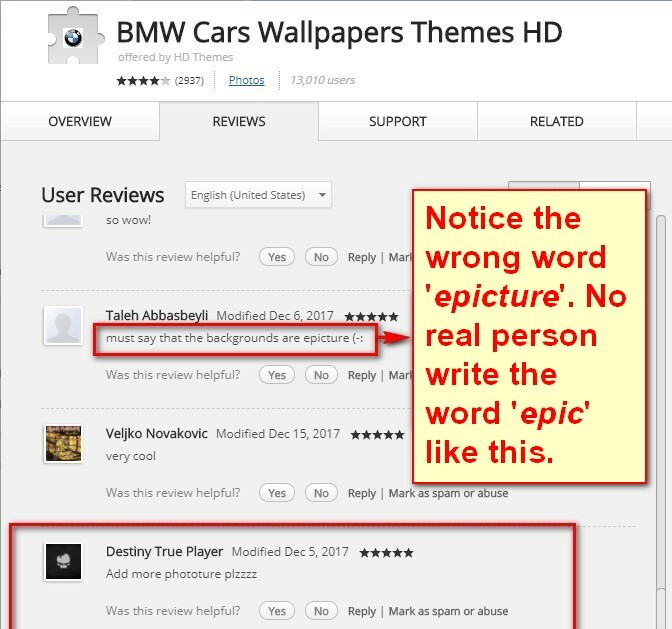 You should not trust the reviews from a fake account as these 5-star reviews are fake also. 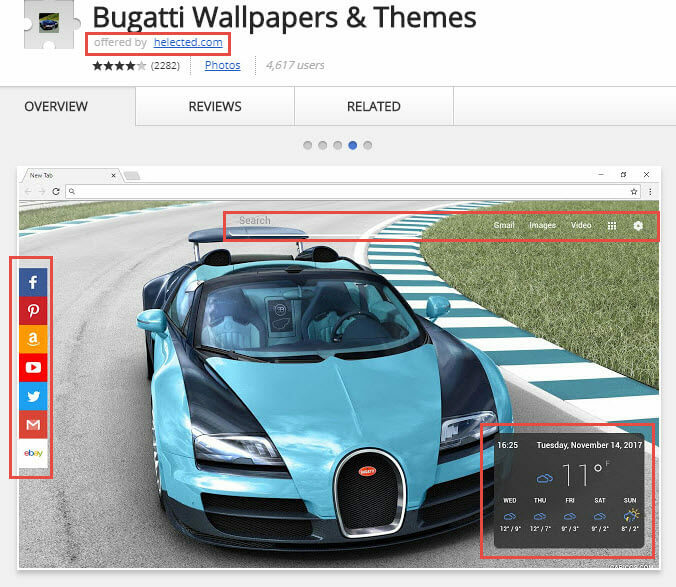 Despite having millions of users, these 2 normal extensions have the ratio of total ratings in total users, which is about 1%. The ratio of total ratings in total users are: 50%, 23%, 69% respectively. In comparison to the average of 1% of ratio like the 2 famous extensions above, these suspected extensions obviously have fake ratings. 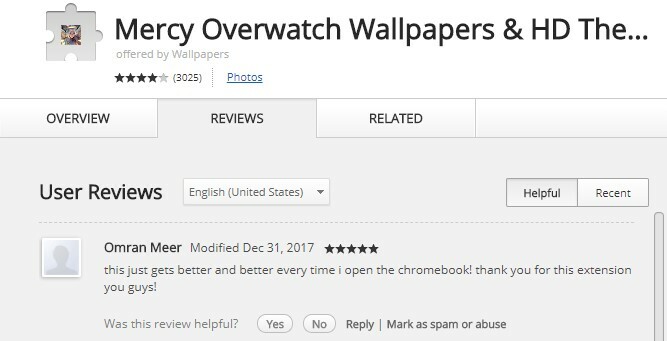 Some of these extension even changed their developer name to something else like New Tab World, HD Wallpapers, william, 4K Themes, Maestro, Better Tab, and more… However, they still use the same Chrome Web Store link. 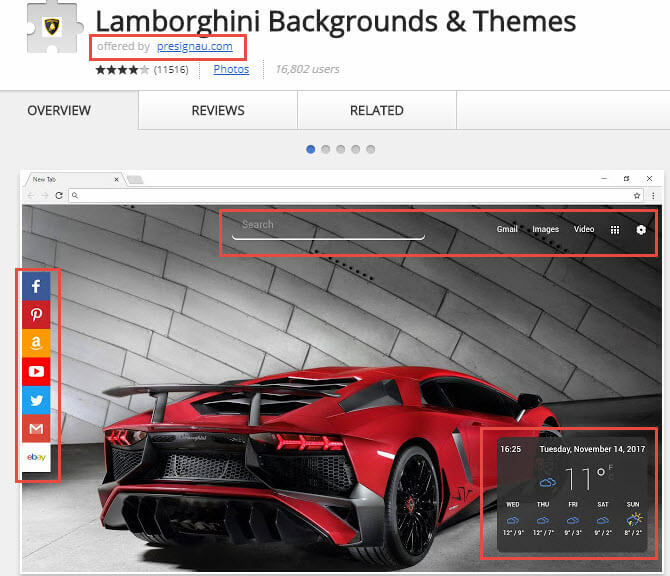 Therefore, we suggest tracking down these suspicious extensions based on the extension’s design, reviews, ratings and users. 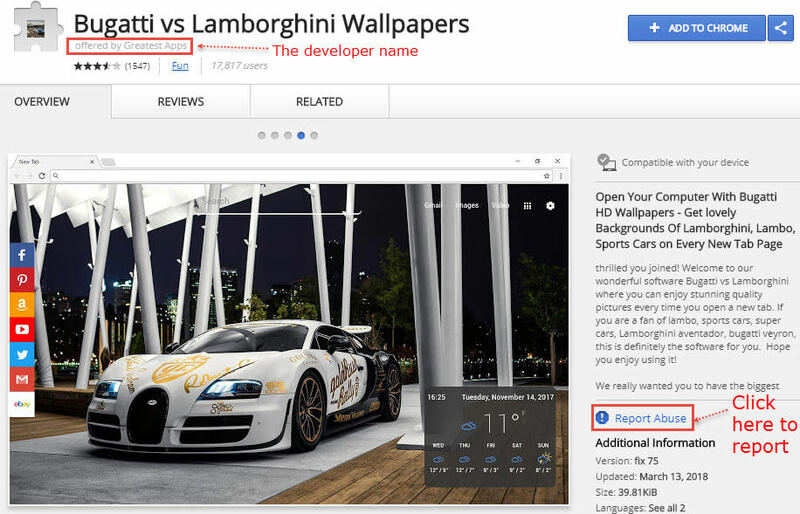 You can always use our List of Suspected Extensions as example. 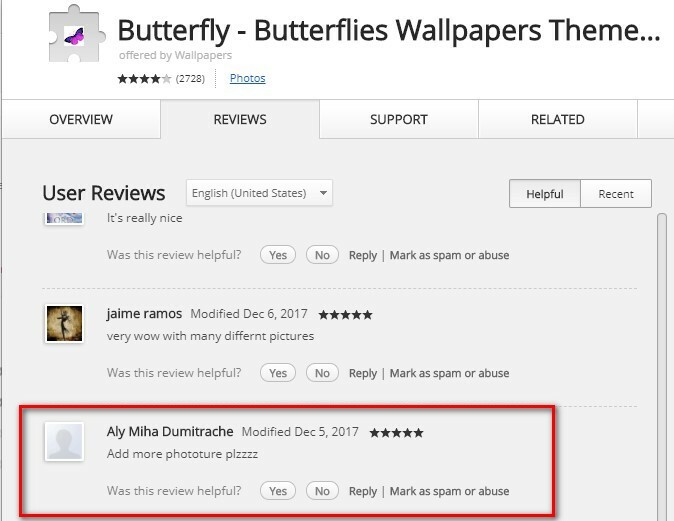 The answer is that they wanted to make our users lose trust on our extensions by decreasing the average rating point while tricked users to install attacker parties’ extensions as they had a lot of 5-star ratings (and users could not know the ratings were fake). 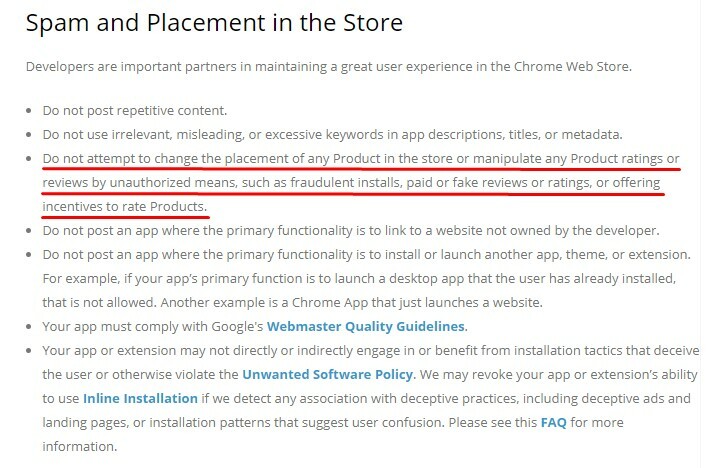 In addition, decreasing our ratings and increasing their ratings at the same time means that they want to replace our positions in Chrome Webstore Listing. 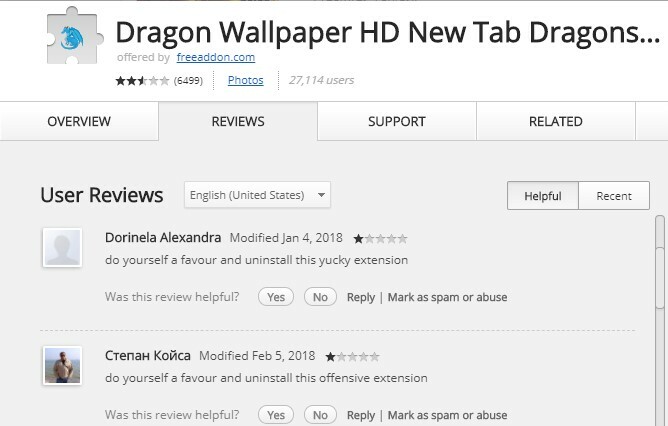 Imagine you search a word: dogs and you will only see the extensions from this group of developers spammed with 5-star reviews (fake but you don’t know), you will be tricked to install. It’s known that the Spammer has injected malwares in his extensions. 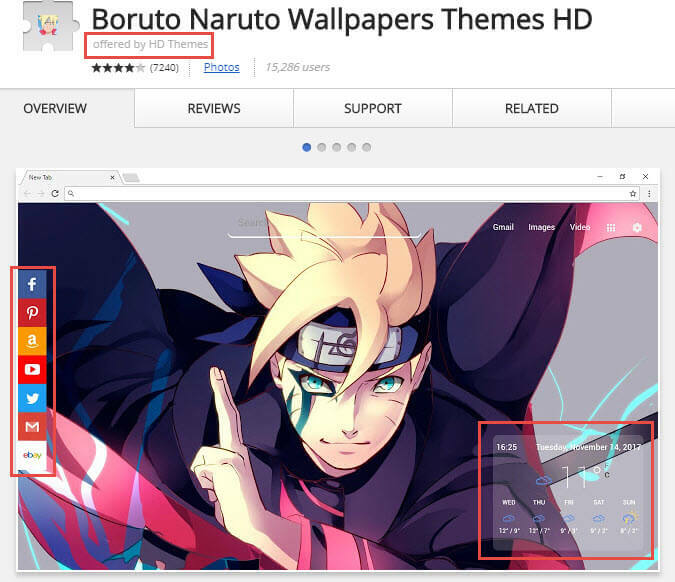 Two million users may be infected, find more details at this Google group post. 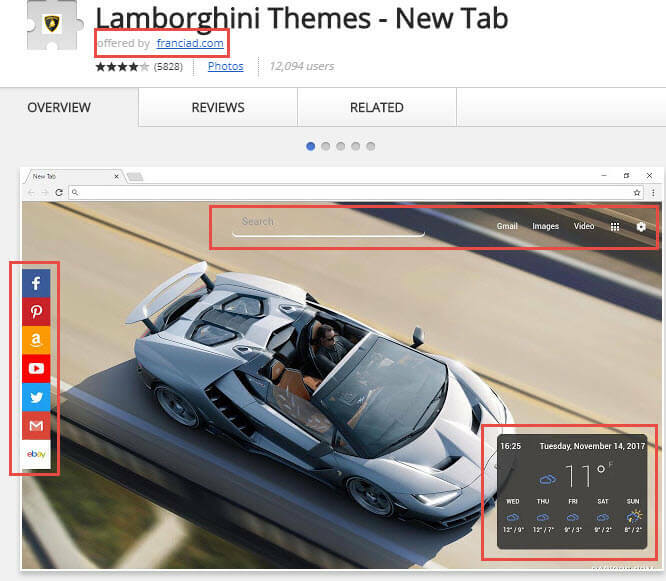 On April 9th 2018, Google has taken down more than 500 malicious extensions from these suspected group. 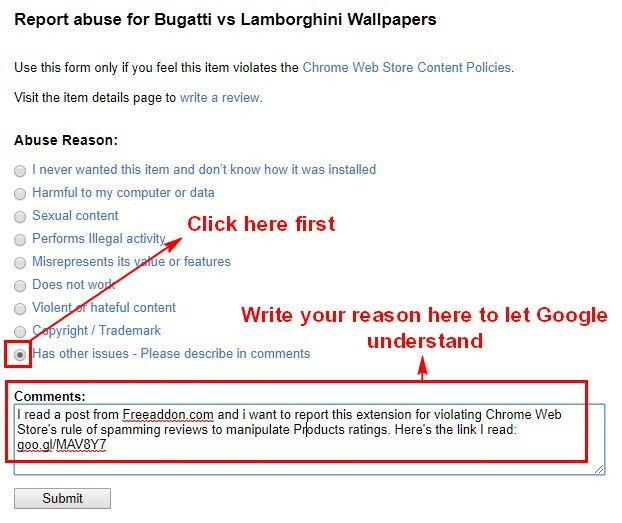 We have reported this issue to Google but there have been no concrete actions from Google so far. 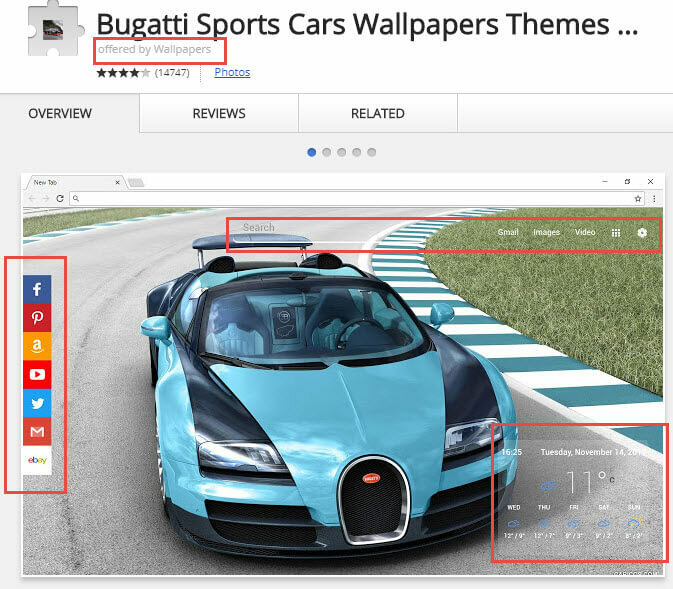 More people report to Google will make Google put higher priority to solve this issue. 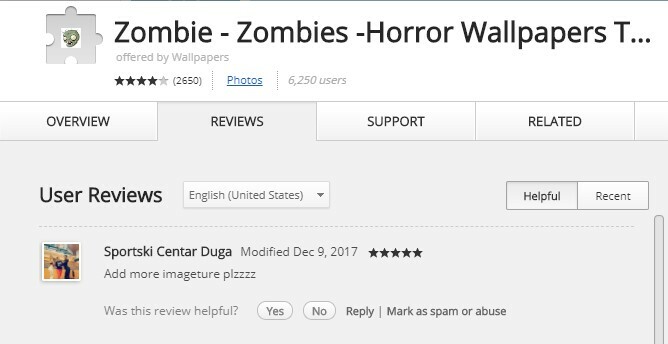 Again, we don’t backbite these developers but the illegitimate extension should be taken down because we are not the only victim. 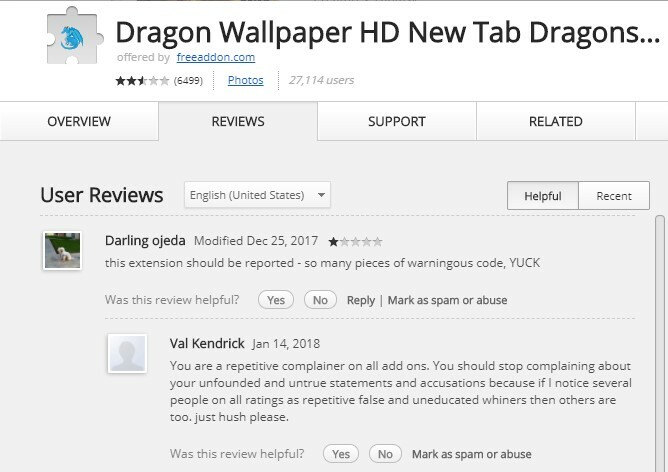 Other legitimate developers like the one of this game: 2048 was attacked with 1-star reviews by the same account created fake 5-star reviews above (name: Chuyen Mai).